Phew, finally, I can inhale! Just so you know, I have never ever started a recap with an ear piercing squeal, but I haven’t stopped squealing since the last 45 seconds of viewing It’s Christmas, Eve, so it only seems right to share that squeal with you. It’s just so good, wowza. Okay, Eve’s less of a drifter and more of an interim school superintendent. And, sure, she is less of an arts program murderer and more of a budget genius. She is in Franklin to help with the district’s money problem. It is a bonus that she gets to spend Christmas with her mom and stepdad. excuse me but would a drifter have this herbal essences hair? That probably just could’ve been a sentence. he’s just really into fingerless gloves and you need to know that about him. I mean, he’s gotta be ready for impromptu piano jam sessions even when it’s cold outside, so I get it. Eve and Liam’s meet cute is literally talking about meet cutes after witnessing a meet cute unfold in front of them. While avoiding running into Eve outside of a cafe, a man smashes into a woman and spills coffee all over her. Instead of screaming about her 3rd degree burns, the woman–now drenched in scalding coffee–winks and blushes and tucks her hair behind her ears. Because this is a Hallmark Christmas movie, her hair doesn’t get staticky from running her gloves through it, and she isn’t sent to the ER because her skin isn’t blistering at an alarming rate. Instead, she probably just met the hunk of her dreams! You go girl! Ya know, just all the casual things people talk about the first time they meet. Help, I have now typed meet cute 7 times. Eve and Liam’s interaction ends when they both meet their friends at their respective tables. All that I get from this is that Eve doesn’t sing anymore. Also, that her friend, Darcy, casually says you have a beautiful voice like Eve sings like any ole Betty and doesn’t have the same voice as LeAnn Rimes–whose voice is at least 10 steps above beautiful. No one, except her family and friends, seems to be happy that Eve is in town. To everyone else, she is the super villain ⚡️Slasher Superintendent⚡️chopping off the heads of Mozart and Bach and scribbling all over Vincent van Gogh’s Starry Night. In reality, she is just trying to save the school from going under. She tells a school board member that she thinks the only way to help the school is to cut the music and art programs, but she is obviously very torn over this. She says she will do everything in her power to try to find another solution. When Liam hears that the meanie superintendent is at the school, he decides to give her a talkin’ to! Instead, he finds Eve talking to his daughter in his classroom. They are both a little shocked and disappointed to find out that one of them has a job that the other one is probably going to cut. Maybe their meet cute was actually a meet ugly (this is not a Coyote Ugly reference, I swear!!!!!!). Okay, that was a Coyote Ugly reference. 30 minutes in and I am committed to the idea of Tyler Hynes and LeAnn Rimes being paired together in at least 5 more Hallmark movies. Eve’s father, who taught her about music, passed away years ago, and she has distanced herself from it ever sense. Liam used to write songs, but can’t find or make time for it anymore. Eve’s friend and husband have the prettiest interior glass doors ever!! They use gloves when boxing up cookies at Eve’s mom’s bakery!!!!!!! I am a germaphobe so this is very important to me. This is great progress because there is a scene in Dater’s Handbook where Meghan Markle licks the icing knife they are using for desserts that they are taking to a BAKE SALE OR SOMETHING. I would like those doors for Christmas please. Eve goes out with her mom, Nella, to find a Christmas tree for the bakery. They find the perfect tree, but as Eve reaches for it, a fingerless gloved hand does too. That hand obviously belongs to the old frontman of Bingo Jones. Eve decides to let Liam keep the tree–not because of his cool dad vibe, but because Abby wanted that tree and she is not the heartless superintendent that everyone assumes she is. Okay, maybe it is a little bit because of his cool dad vibe, because she flirts it up! She even flirts her way into his house and winds up helping them decorate the tree. They hang ornaments, sing carols, and it is over the top, but I accept it. Those gloves are melting my brain, but I love this movie so much that maybe I’ll start wearing fingerless gloves so my fingers will always be ready for some rad bloggin’! Oh my gosh. It’s just really sad and sweet, and that’s all I have to say about that. I’m going to title this next section like those Clickbait articles you find on Facebook. You Will Never Believe What This Woman Finds Her Stepdad Doing When She Follows Him Into a Man’s House! Eve has noticed her stepdad, John, sneaking in and out of Liam’s house. She decides to do some Nancy Drew-ing and boldly enters Liam’s house to see what is up. …the two men sitting on a couch, playing the guitar. Scandal! Eh, but, like, not at all. It is almost John and Nella’s 4 year anniversary and he decided that he wants to write and sing her a song as a surprise! This is great if you’re into that sorta thing. I once had a guy write a song for me after knowing him for about a week, but instead of singing it to me he had me read the lyrics while waiting in the hall for class to start? Or he read it out loud to me? I think I half blocked it out because I was insanely uncomfortable. Either way, no thank you. But, you do your thing, John! I’m sure you’ll sing to her in an overly-candled room and she’ll love it! have Darcy’s husband, Brad, set up a donation website that’s kinda like a bridal registry. They also name the event Christmas Under the Stars even though I was very partial to Liam’s suggestion of Fa La La La Franklin. Eve presents the fundraiser idea to the board, and even though they’re like…ehh would you be going above and beyond like this if the music teacher was ugly? and we don’t think it’ll work but we’ve really got nothing to lose, so go ahead? I usually am not a montage person, but I really appreciate this one. It’s a fundraising and event planning montage which means that the movie doesn’t spend an exhausting amount of time on fundraising and event planning!!!! Instead, we get to focus on the relationships and growth of the characters. And it actually leaves us time for the ACTUAL FREAKING EVENT! We rarely get to see much of the big events and festivals in these movies. This movie, I swear, is a Hallmark miracle. This is a terrible screenshot of a wonderful eye roll. It was the best part of the montage, so enjoy it in its blurriness! While the pair were ❤️ bonding ❤️ over event planning, Eve opened up about why she is an interim superintendent and just hopping from school to school. Truly, she always wanted to stay in Franklin. When her dad passed away, however, she wanted nothing more than to get the heck outa dodge. She hasn’t been able to find a place that feels like home since. Her next stop, if they hire her, is San Diego. …here is where I got full body chills. I am not exaggerating. I was moved. Like moved all the way to San Diego. Pretty sure Christmas in Love has already started by the look Eve is giving Liam amirite?! There is even more bonding! Eve encourages Liam and Abby to perform Liam’s original song You and Me and Christmas at the concert. The three watch A Christmas Carol outside where they eat popcorn with gloves on! Liam reveals to Eve that he stopped writing music because he let his ex-wife chase her dreams and didn’t let himself chase his. Time for Christmas Under the Stars, and, it too, is very emotional. First of all, while backstage, Eve gets a phone call from San Diego. They are offering her the job. Liam almost kisses her, but instead asks her if she is taking the job in California. She doesn’t answer him because she doesn’t know herself! Second of all, Abby is too nervous to sing, so Eve sings with her. Oddly, the crowd is just like…oh how nice, eve sings well…and no one offers her a record deal? I just don’t get it. The best part, though, is that Eve only looks into Abby’s eyes as she sings. She cares about keeping her calm, and doesn’t project to the crowd and start strutting around the stage like a peacock. The second best part is the way Liam looks at Eve. Third of all, the event makes over $160,000?!?! The board is so pleased, she is offered a full time superintendent job in Franklin. Eve is torn if she should settle in Franklin or make a stop in San Diego. When she gets home, all of her questions are answered. Eve opens a gift from Liam. I knew this was coming at some point, but it did not lessen the impact. The gift? Liam finished writing her dad’s song, and it is beautiful. She sings the new lyrics and longingly looks out the window at Liam’s house. Here is where I start squealing. The music changes from her singing acoustically to the record version as she races to Liam’s front door. She sees Liam and Abby (still…?) decorating their Christmas tree and knows this is where she wants to be. When Liam comes to the door holding a mug, Eve confesses that she’s staying and I kid you not asks him if the beverage is hot, takes it from him, throws it on his shirt and declares that they now have had a proper meet cute. They kiss! Like they legit make out! No, seriously, it is a gooood kisssss, I need you to understand that. And…they’re happy! I’m happy too! I rate It’s Christmas, Eve When People Wear Gloves to Prepare Food!!!!!!!!!!!!!!!!!!!!!!! which is a 5/5 on my scale of Gloves. When people wear gloves to prepare food!!!!!!!!!!!!!!!!!!!!!!!! Oooooooooooh, man. Woah boy. Golly gee. My first perfect score of the season! It’s Christmas, Eve is great. Let’s just say, if you are a movie that I don’t think I’ll be super into, chances are you’re going to be one of my favorites. Rarely do movies I am pumped about live up to my insanely high expectations. And, you know what? I still don’t know if I’m being coherent about my love for this movie. This recap is probably A MESS. I really did squeal during the last scenes of the movie. After about 45 seconds, my husband said “okay that’s enough” and put a blanket over my head. Just–I just. I just loved it. The acting was great. LeAnn and Tyler had effortless chemistry. Honestly, the entire cast had effortless chemistry with each other. I was very impressed with the pacing of the script. Every part of the story got just the right amount of attention that it deserved. AND the ending was not rushed. It, truly, might be my favorite ending of a Hallmark movie ever. I’m serious! Ugh, I have so much to say that I don’t know if I should say much more. Except, I will say this: after Eve stopped singing It’s Christmas Eve, my husband exclaimed “That song is the balls!” which apparently is a very good compliment from my thirty year old husband. Lol, so there’s that. Also, if you want to talk about Liam’s sweaters, go to Girl Gone Hallmark’s review, because she’s the expert. Thank you for reading! Let me know what you thought about It’s Christmas, Eve by connecting with me on Instagram or Twitter @thehallremark, commenting below, or emailing me at thehallremark@gmail.com. Your review of this film absolutely lived up to my expectations; it perfectly captures what makes this film the piece of magic it is, and I agree with every word. Fingerless gloves are a total weakness of mine, I LOVE the fact that the first time Eve sees Liam and Abby they’re having a snowball fight I immediately want to participate in, and that the whole time Liam and Eve are arguing over the tree, they keep their arms balanced on the branch with their fingers almost, or completely touching. And don’t even get me started on that ending… from the moment she started singing, I was thinking ‘get to the verses Liam wrote!’, melted into a complete puddle when I heard them, and then fist-pumped in the air multiple times when she went over to their house. Lastly, as much as I enjoyed all of the music, The Gift of Your Love is actually my favourite song. 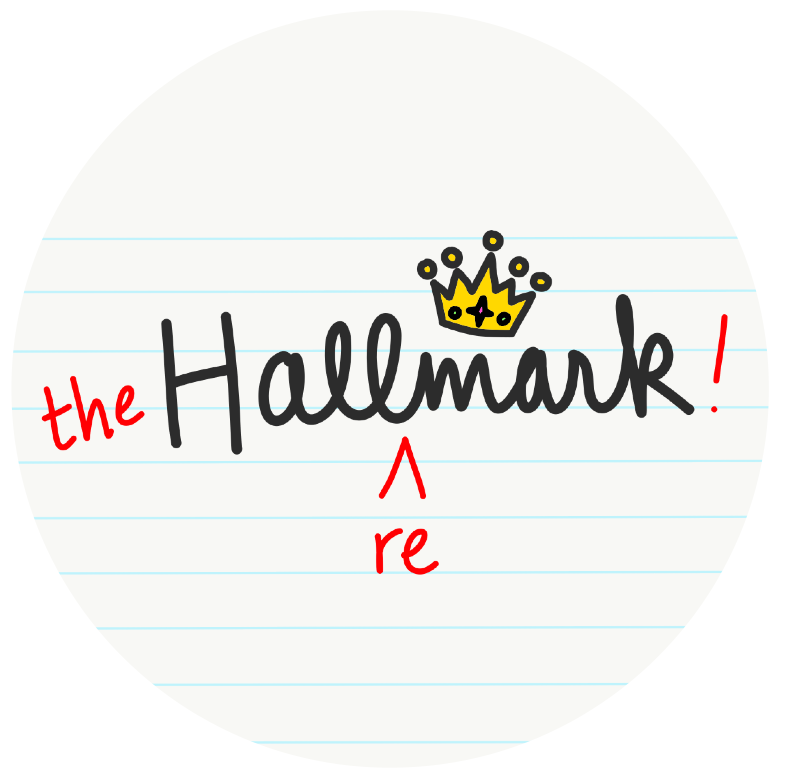 Can’t wait to read what recaps you choose to compile for the very many, many more Hallmark Christmas films to come! I’m so happy it lived up to your expectations! Yay! I was very worried I wouldn’t do the movie justice. Thank you so much for reading! Hoping there are other movies this season as wonderful as It’s Christmas, Eve!